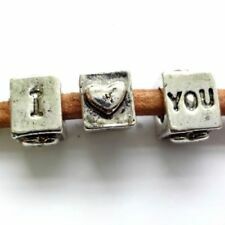 These are the best value for money sterling silver alphabet beads beads I could find, and the quality is great too. Now for the serious stuff. The quality of the lettering is excellent. Size: approx 7mm. Colours: white. 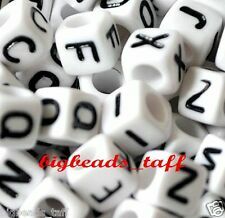 100pcs x 6mm cube alphabets beads. note: This item is mixed in random, the quantity of each letter is not equal. Size: approx 6mm. Size approx - 7 - 8mm, hole 1.2 - 1.5mm. random mix supplied. I will get back to you as soon as I can. photograph shades can vary due to monitor differences. 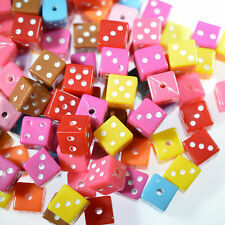 50pcs x 6mm cube pink single alphabet A. Size: approx 6mm. Hole: 3.5mm. ANTIQUE SI LVER RECTANGULAR TIBETAN STYLE. Shape:Flat Rectangular. Size: 12 mm x 10 mm x 2.5 mm. Nickel, Lead &Cadmium Free. Hole size: 1.5 mm approx. Size : 5x4mm (approx.). 100 Antique Silver Rectangle Spacer Beads For Jewellery Making. Shape : rectangle. Buy 2 Get 1 Free. Square Edge Cube. 50Brass Quality Bead Spacers. Light Gold Colour. 200 Acrylic Colourful AB 4mm x 4mm Cubes, Squares Mixed Colours - PB36. Top Quality - Fabulous Lustre Colours. 200 x 4mm Acrylic Lustre Square Beads. Size: about 4mm wide, 4mm long, hole: 1mm. 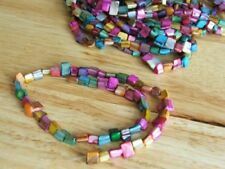 Funky Vibrant Beads. 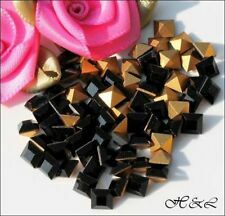 100 x 4mm Glass Cube Beads - Black Square Beads - Black Cubes. Glass Beads Cube, Rounded Edge Cubes. 100 x 4mm Crystal Glass Cube Beads - Black. 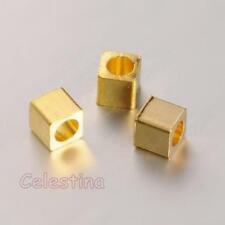 4mm - 5mm long, 4mm - 5mm wide, 4mm - 5mm thick, hole: 1mm. A string 16" black shell nuggets beads approx 26pcs. Size: approx 15mm. Colours: black. 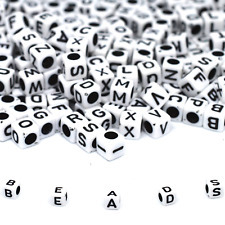 500pcs x 6mm cube blue alphabets beads. Size: approx 6mm. Beads - Acrylic Flat Rectangle 13x11mm White & AB Shine x 100 beads (50g) - item sold by weight. Colour: A pretty combination of winter white with a light AB rainbow sheen which changes in the light - beads are opaque. You will receive 20 x 20mm White Acrylic Domino Print Spacer Beads. Each bead is approx 20mm x 10mm . With playing card print on reverse. 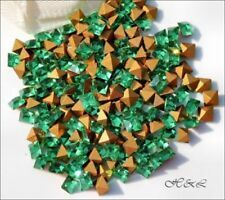 A must for all Jewellery makers, attach to a bracelet or necklace and change the appearance instantly. 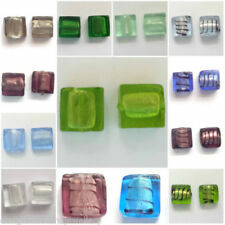 200 mixed colour AB acrylic cube beads. Beads supplied are a random mix of the beads shown. 4mm, hole 1mm. I WILL GET BACK TO YOU AS SOON AS I CAN. Size: approx 7mm. Colours: black. BUY ANY 6 ITEMS PAY FOR 5...6mm CUBE MILLEFIORI GLASS BEADS... MILLEFIORI GLASS BEADS MIXED COLOURS .. 6mm x 6mm FLOWER 25 PER BAG... 1mm HOLE... OTHER SIZES AND SHAPES AVAILABLE... IDEAL FOR JEWELLERY MAKING ARTS AND CRAFTS...CLICK HERE FOR MORE ITEM INFO AND A LINK TO OUR EBAY SHOP FOR THOUSANDS OF GREAT CRAFT ITEMS.